Stress may come to you through your mind or from your body. There are several reasons which may trigger your stress and create some pressure over your mind. 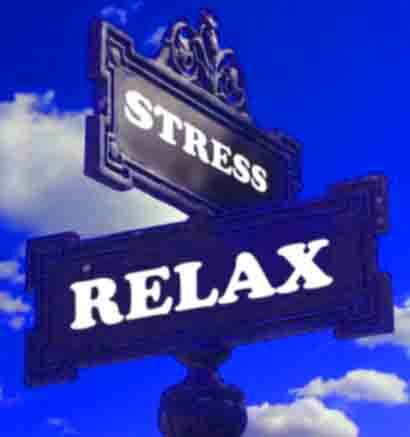 There may be some incidents and commonly some situation of life can lead you to a stressful life. Like, loss of a beloved soul, getting married or divorce, financial obligations, serious physical illness, insecure feeling about your job, an excessive working load on the job, incontrollable emotions – anxiety, anger, depression and many more incidents may cover your life with stress and pressure. You may found other signs and symptoms whether you are living a stressful life. To know more about signs of stresses and pressure of life, you can search over the internet or read an expert level book with findings and you will get several articles related to the topic. But we will not going to focus on that, we will point out some ways which can reduce your stress or maybe, give you complete relief from stress and pressure. From those ways, some may be related to physical health and some are related to mental health. First, I am telling you that, you need to avoid smoking, alcohol and also caffeine for reducing stress because these things work like a stimulant. And, I hope you guys are familiar with what actually a stimulant do. It will not going to help you to reduce stress from your mind rather than it will increase the level of stress. I also suggest you to avoid sugar contained foods and dark chocolates because both of them actually stimulate your adrenalin hormone and rather than relaxing your mind these food will increase your level of stress and blood pressure may rise. So, I suggest you to eat healthy, balanced and nutritious diet. Next step for stress free life or at lease reducing your stress, you need to involve yourself into some physical activities. Do walking on daily basis, practice yoga or do some breathing exercise, do meditation and these things will help you to flow your blood all over to your different organs as well as your brain to relax your mind and could relieve your stresses. Enough and sound sleep is a key factor for relieving your stresses, so try to gain enough sleep. It will help you relaxing your brain muscles and make your mind calm and fresh to start a new day. Many other things you should try for possibly best outcomes including listen soft and classical music, get a body massage or give a tour to your favorite places and may be these little steps help you to reduce your all kind of pressure, give you enough strength to fight with your stresses. Finally, I only want to tell you that you should try but don’t think about the results either it could be positive or negative. Live your life with hope, dream, and acceptance. Try to accept your situation because you know you can’t control everything in your life. So, change your perspective towards life, try to laugh, involve yourself into games and puzzles, maintain a balanced social life and most importantly try to reach someone closed to you and talk to them about your problems. I believe, thus the way, you can overcome your problems and live a stress-free life. Stay healthy, be happy and live a life with full amusement.